How is it that a country which spawned Campag, Ducati, Ferrari and Armani can’t get the plumbing to work? Last night’s hotel had the electrical switch for the shower just a couple of inches from the shower head; the difference between being scalded and freezing was two microns on the control. The people are so friendly here in Naples; the boy in the toll booth last night gave us a row for not having the €1:60 ready – we should have known it was a pre-pay toll. The roads are horrific, a lot of them are concrete, which has split and potholed – dire. And on top of all the that, the pen I bought yesterday doesn’t work – surprising that – and breakfast was grim. We’ve just been through a tunnel, on our way to the start; Dave reckons that was the nicest part of Naples we’ve seen. La Gazzetta never let’s us down, though; there’s a huge amount about yesterday’s stage; Carlos gets a 9 out of 10. Today, we decided to “go people” – we interviewed about a dozen riders, managers and a certain Oleg Tinkov, before the start on the sea front in Naples. I spotted Mr. Tinkov and shot across the road for a word, I was a few words into my introduction; “you probably won’t remember me but...” when two handsome, fit looking dudes appeared from nowhere; I noticed a little gesture from the Boss – two fingers onto one of the minder’s forearms; I was OK. However, if I can give you a piece of advice, don’t mess with Mr. Tinkov! Having said that, he was as charismatic as I remembered, chatty and good fun, clowning around for the camera. Our ‘sound bites’ worked well and reminded us that pros are generally a pretty sound, approachable group of people. As soon as we did the business, we were out of there – Naples is not a place that either of us would like to re-visit. I wrote up the bulk of the article en route to the finish with Dave still cursing Naples, it’s roads, it’s architecture and horrible karma. Anagni was the stage finish town and we decided to do another piece (as yet unwritten, the need for pizza was too great!) about our day, and the finish in particular. It was good to be fans, hanging over the barrier and we enjoyed the fact that there was a finishing circuit – 18 kilometres. It was a tough finish; a two kilometre drag to the line. On the first ascent, it was split but we felt it might well be a bunch gallop. Philippe Gilbert thought otherwise and pulled the fat out of the fire at the 59th minute of the eleventh hour, to save Silence-Lottos Giro and win his first race of the year. An event his sponsors will be happy about, but might just think is a tad over due? The drive to digs was short and relaxing, our hosts friendly and happy to give us access to their modem – deep joy! The pizza was braw, the wee bar where we had our nightcap was sound and here we are in our quiet, clean digs – Roma tomorrow. Reality on Monday, best make the most of that time trial in the Eternal City. And Now (No And Then) – Dude Where’s My Car? Continuing our series about racing in Belgium, we had a chat with Tom Murray last week, who is back racing on the continent after the Plowman Craven Madison team ceased operations. 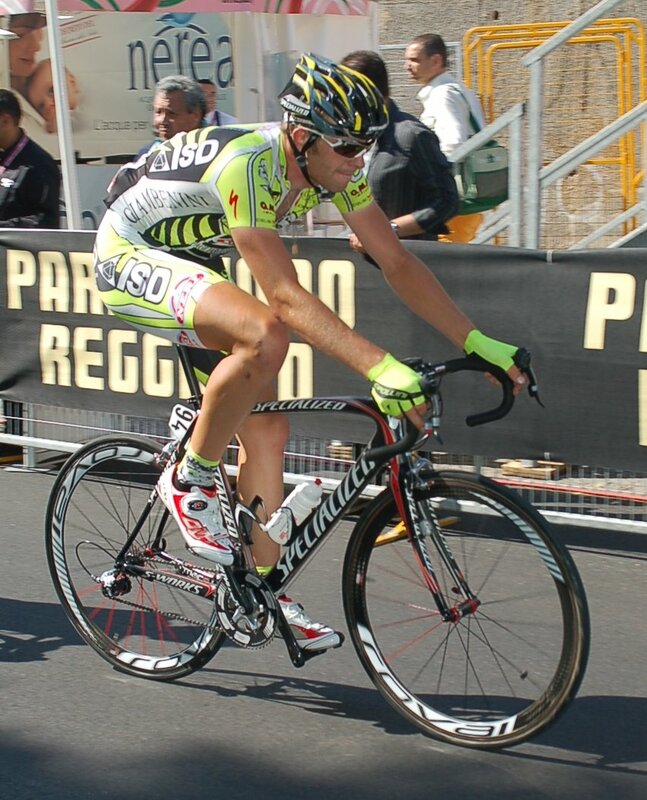 Giro d’Italia 2013 – Stage 13: Busseto – Cherasco 254km. Cavendish’s Fourth! GreenEdge and Cannondale learned again that those who live by the sword die by the sword, Having slyly left Patrick Lefevre’s men to do the lion’s share in bringing back the break of this longest day of the race, they formed their trains late in the tappa; hoping to exploit a Cavendish whose team was all used up.